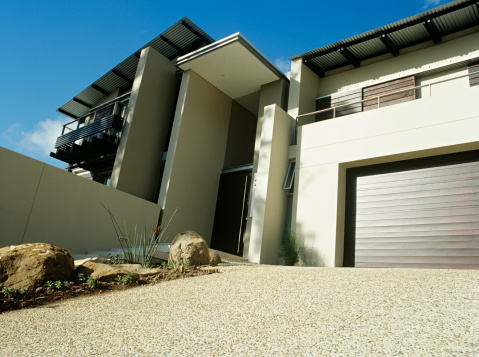 A HomeLink gate opener is convenient so you don't have to get out of your car to open your entry gate. With the push of a button, you can have access on demand. 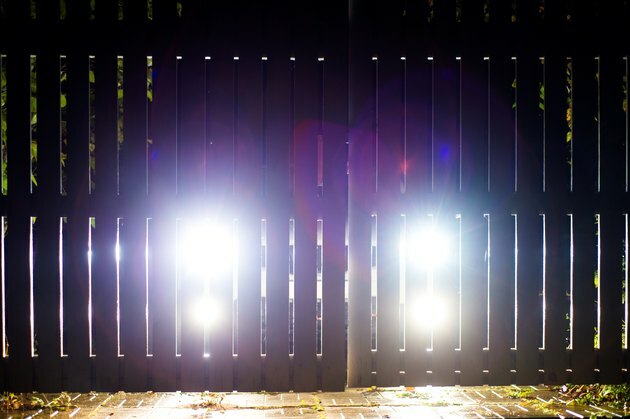 All it takes is some programming, and you can reap the benefits of security and privacy with your new gate opener. It's important that all objects and people are out of the way while you're programming your HomeLink opener as harm or damage could occur. Make sure all pets are also out of the way when the gate will be opening and closing, which could pose a danger to your pets. First, park your HomeLink-integrated vehicle near the gate you wish to access and keep the vehicle's ignition turned on. If this is your first time programming the opener, press and hold the two outer buttons on the vehicle's HomeLink device. Release when you see the lights begin to flash. It could take 20 seconds for the lights to show. Once the lights appear, hold the transmitter approximately 1 to 3 inches away from the HomeLink control buttons while still keeping the indicator light within sight. Press the desired handheld transmitter button and the HomeLink button simultaneously with both hands. Don't release the buttons until you see the light flashing, changing from slow to rapid. Upon seeing the lights flash rapidly, you can release both buttons. Next, press and hold the button on your newly programmed HomeLink device and watch the indicator light. A solid and continuous indicator light means the programming is complete. Your device will now activate upon pressing the HomeLink button. If the light continues to blink rapidly, you have a rolling code system and must continue with the next steps. Locate your receiver, known as your motorhead unit, on your entry gate opener motor. Find the "smart" or "learn" button, which can usually be found near the control panel. If you're having issues finding the button, consult your owner's manual. For community gates, seek out the assistance of maintenance personnel. Once you find the button, press it and then release. Once you press the button, you only have 30 seconds to move on to the last steps. Quickly return to your vehicle and hold the HomeLink button for two seconds, then release. Lastly, you'll need to press, hold and release in a sequence of three to complete the programming.